Hinamatsuri is a festival in Japan which is held on the 3rd of March to wish for the health and happiness of a girl child and each house displays a set of Hina Dolls on the 3rd of March. Hina dolls (girl-dolls called Onnabina and boy-dolls called Otokobina) are displayed in each home. In this article, I will introduce to you some food and drinks that match the Hinamatsuri festival. Baskin Robbins in Japan are holding an event titled “Girls Festival 2018” from February 15th to March 3rd, the day of Hinamatsuri. This year, Baskin Robbins are introducing the cute character Snoopy onto hinadan – doll stands for hina dolls. 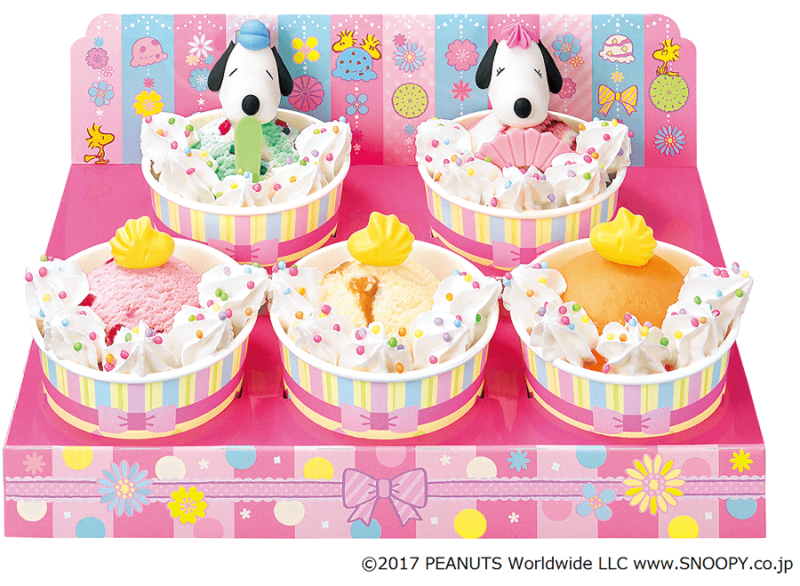 Each ice cream is topped with sugary faces of Snoopy and Belle to represent a male doll and female doll respectively. There are also three chocolate Woodstock designs. 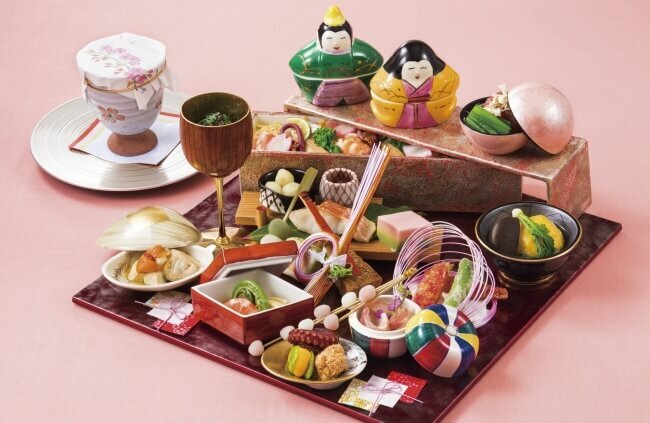 Celebrate a fun and exciting Hinamatsuri with your family! 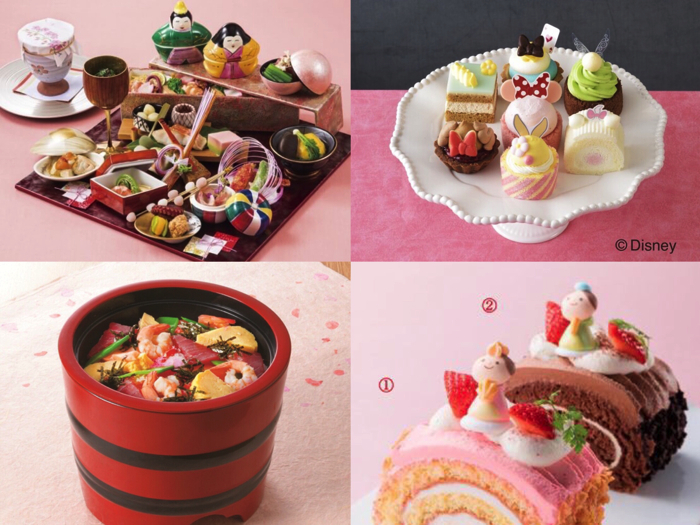 Takarazuka Hotel will sell “Hinamatsuri Cake” which decorates the Hinamatsuri season gorgeously for three days from the 1st of March 2018 (Thurs.) at “Lobby Shop” (1F) of the East Building. 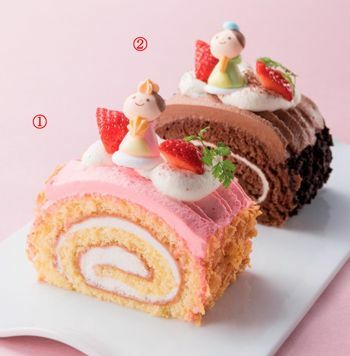 Two varieties are available – “Onnabina” using strawberry cream and “Otokobina” using chocolate cream and strawberries. Let’s enjoy Hinamatsuri by eating this hotel’s cake. 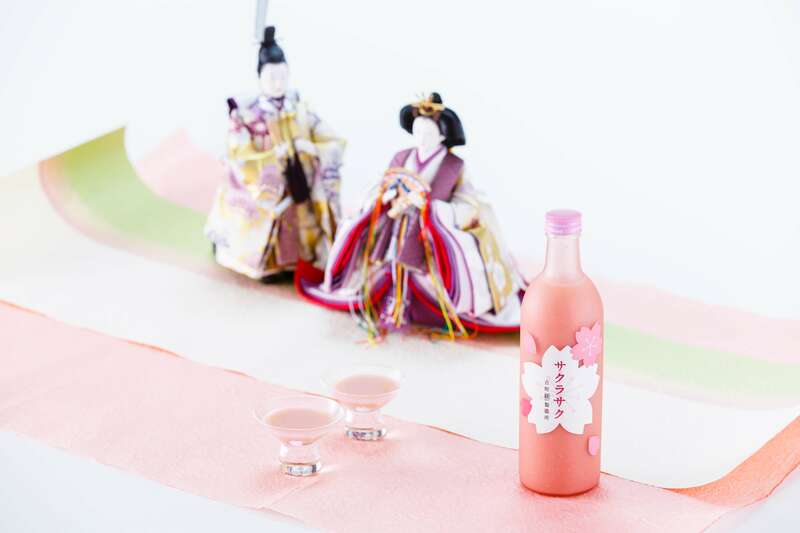 The koji (rice malt) amazake (sweet fermented rice drink) specialized store, “Furumachi Koji Seizojo” will sell a renewed version of the spring-limited amazake “Sakurasaku” (the quantity of the product has been increased from 300ml to 500ml) to meet their customers’ demands. This koji amazake has a cherry blossom leaf taste like sakuramochi (cherry blossom flavored mochi with bean jam inside). Washoku Mendokoro (Japanese noodle restaurant) Sagami will sell Hina Chirashizushi (scattered sushi) as a Hinamatsuri limited menu from the 1st of March to the 3rd of March. The menu includes vinegar rice, snow crab, tuna, salmon, a thick omelet, cherry blossom denbu (pink fish flossed) and shrimp. It is a custom in Japan to eat chirashizushi when the Hinamatsuri festival is held. 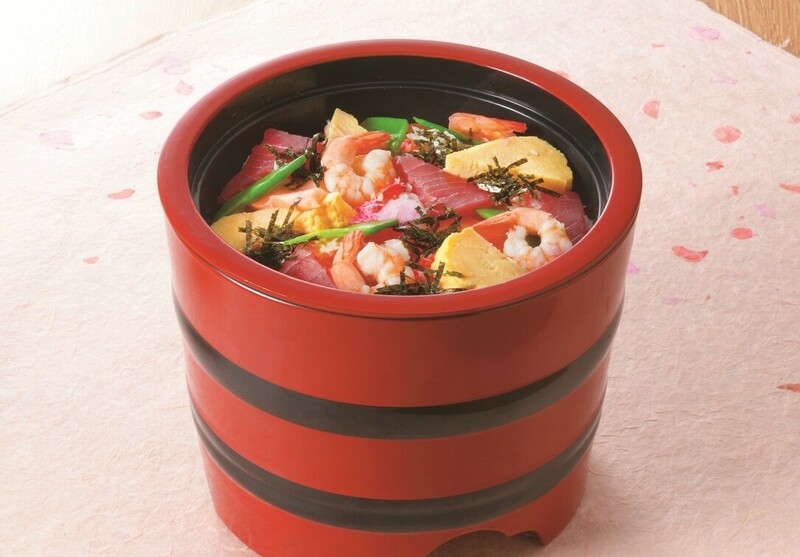 Japanese people eat this dish with the wish that their children will not go hungry in the future and it is thought that shrimp extends longevity. 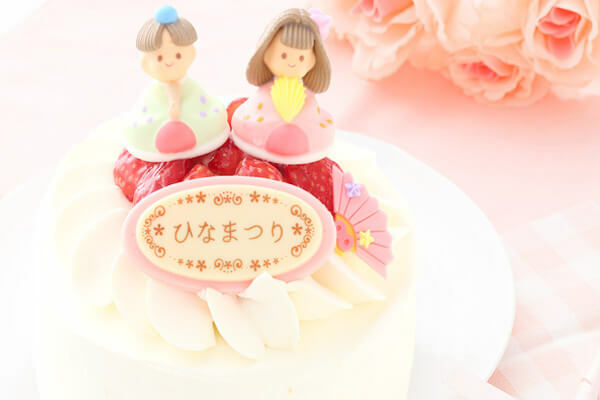 The online shopping site specializing in cake “Cake.jp” started selling Hinamatsuri cakes from the 15th of February. Many cute cakes that have decorations of Hina Dolls will be sold including cute standard round-shape cakes and diamond/fan-shaped cakes. The cakes they sell are suitable to be bought as a gift since they can be shipped. 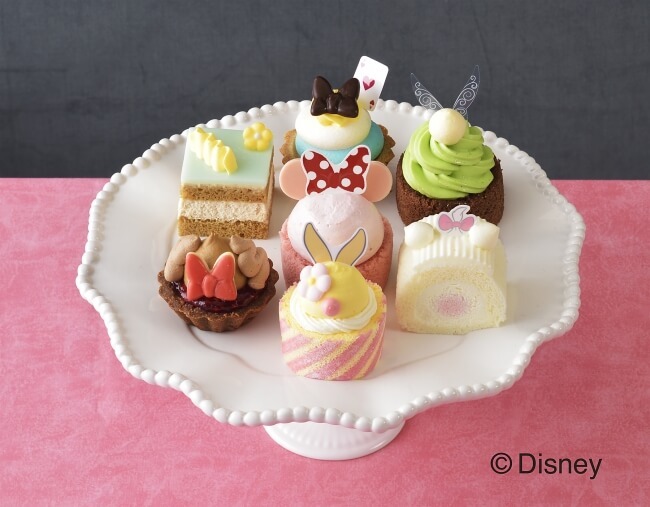 Ginza Cozy Corner will sell small cake sets using the designs of Disney characters from the 15th of February 2018 to the 3rd of March. “Disney Girls Collection” is a box that includes cakes using the motifs of “Minnie Mouse,” “Alice,” “Tinker Bell,” “Disney Marry,” “Miss Bunny,” “Lady” and “Clarice” and each piece has a different taste. 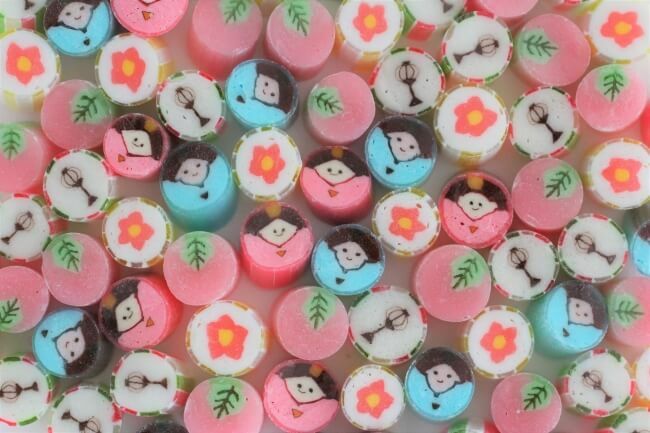 The “art candy” shop from Spain, Barcelona “papabubble” will sell “Hinamatsuri MIX” from the 10th of February 2018 (Sat.) to the 4th of March (Sun.). Five cute patterns including a peach flower pattern, sakuramochi pattern and bonbori (paper lantern) will be sold and a very popular apricot peach flavor will be added. Shibuya Excel Hotel Tokyu will sell limited lunch menu items using the motif of Hinamatsuri at the Japanese cuisine restaurant, “Shunsai” and “A bientot” located on the 25th floor from the 1st of February 2018 (Thurs.) to the 3rd of March (Sat.). Original chirashizushi, clam, hishimochi (star-shaped rice cake) and arare (cubic rice crackers) which bring luck will be served. Let’s enjoy eating the special menu items while viewing the view of Tokyo from the floor 100 meters, above ground. Why not celebrate Hinamatsuri with you family.